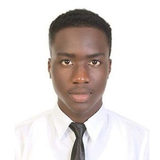 Member of the committee of the Administration of touristic enterprises and Hotel at UTESA for the 2nd time consecutive in the Dominican Rep.
Walky Jean is a tourism student , he speaks 3 languages fluenty ( English, Spanish and French). He likes to provide customer service. He is multi-task and a fast learner. Walky Jean is currently a member of the committee of his career for the second time consecutive. One of his biggest dreams is to be trained and educated the right way for him to be able to promote the tourism activity in his country in a near future. Walky Jean is a tourism student , he speaks 3 languages fluenty ( English, Spanish and French). Member of the committee of his career for 2 years, Walky is basically the voice of the foreign students coming from the same country as him. Walky Jean updated their profile information. Walky Jean changed their profile image.